7 out of 10 Americans die from heart disease or cancer. Here's how YOU can beat the odds. As an average American you have a 70% chance of dying from either heart disease or cancer. Every minute in the US someone dies from a heart attack. Fifteen hundred people will die today from cancer. But it doesn’t have to be that way! 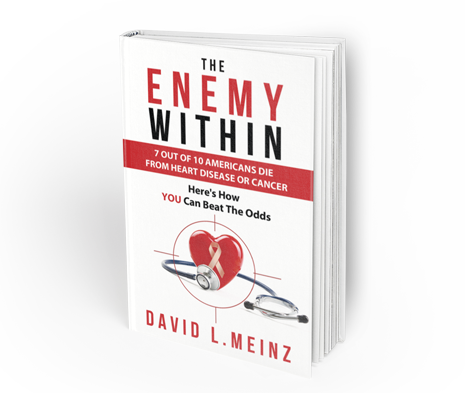 In THE ENEMY WITHIN you’ll learn how to prevent ever having a heart attack or stroke in the first place…or prevent a second one. Plus, how to reduce your risk of cancer by 66%! Here’s how YOU can beat the odds!